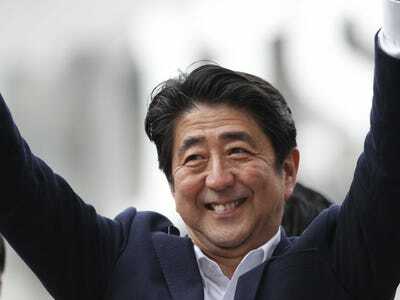 Japanese prime minister Shinzo Abe’s critics have their knives out today: the Japanese prime minister has called a snap election for the country’s lower house. 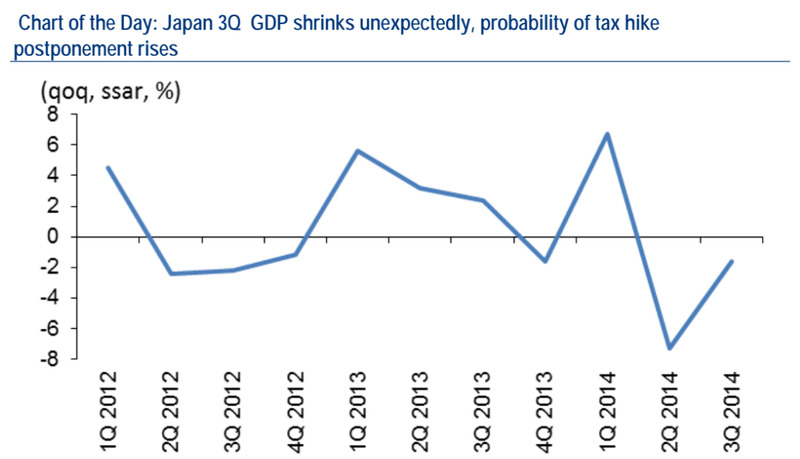 The decision comes pretty much straight after some dreadful GDP figures for Japan. So there’s been no shortage of people declaring that Abenomics has failed. However, one group did get it pretty much bang on. Now-Casting, developed by Lucrezia Reichlin at the London School of Economics, called the slump. And they see a “dramatic improvement” on the way in November and December. The effects of the tax hike won’t last forever, and the Bank of Japan jump-started its already large QE programme at the end of October. It’s also big mistake to think that the sales tax hike was an important part of Abe’s overall plan. The tax hikes were planned under former prime minister Yoshihiko Noda, and passed as a cross-party move. 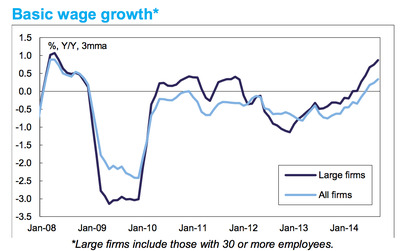 In Abe’s first five quarters, before the tax rise came into effect, average quarterly growth was 3.26% annualised. That’s strong, especially for Japan, where an ageing population makes the natural rate of growth pretty slow. Abe deliberated over whether to delay or scrap the increases, and ultimately it looks like he made the wrong decision. But the plan for the second part of the hike is out of the window for at least 18 months, so long as Abe wins the election. Fudging your recovery and changing course is better than not having a plan for recovery. 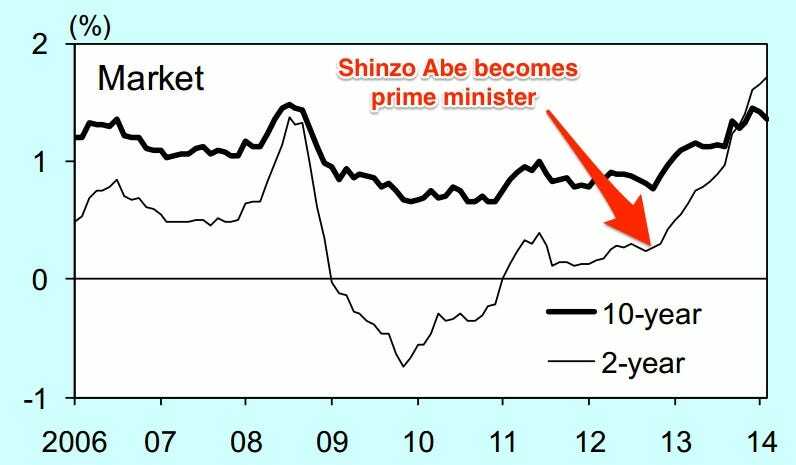 The most important part of Abenomics was always about raising Japanese inflation and ending the country’s deflationary decades. So far, it has done pretty well. Inflation (after stripping out the tax increase) has been at or above 1% for more than a year now. It’s slipped a little since the summer, but it’s still way above what he inherited. Japan hasn’t had another period of year-long inflation over 1% in the 21st century. Why is that important? 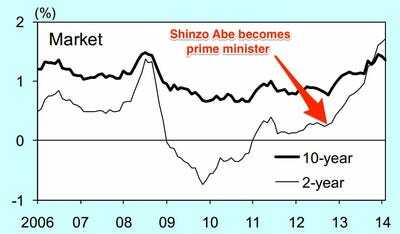 Japan’s lack of any inflation has kept the economy nominally the same size or shrinking for decades. This means that economic growth and inflation combined have not been enough to raise the amount of money in the economy (in terms of yen), so public debt grows and grows in comparison to the size of the economy: debt was 100% of GDP in the late 1990s. It’s now an eye-watering 227%. The Bank of Japan’s (so far) credible promise to raise inflation to 2% and keep it there is the absolute crux of Abe’s plan. Matt O’Brien offered a great explanation just before Abe’s election of why Japan needs more inflation (or rather, more nominal economic growth). The incredibly low unemployment referenced earlier should also help this: as the pool of unemployed workers falls, and employees become more confident in quitting and moving jobs, employers are forced to raise wages to keep hold of their staff. There’s one element on which the Abenomics programme can be criticised: the ‘third arrow’ of structural reforms has undoubtedly been slow. The government has undoubtedly made some slow achievements, but in reality elements like raising the female participation rate will take years and decades to achieve: it’s a little far-fetched to suggest that they have failed less than two years after the programme began. 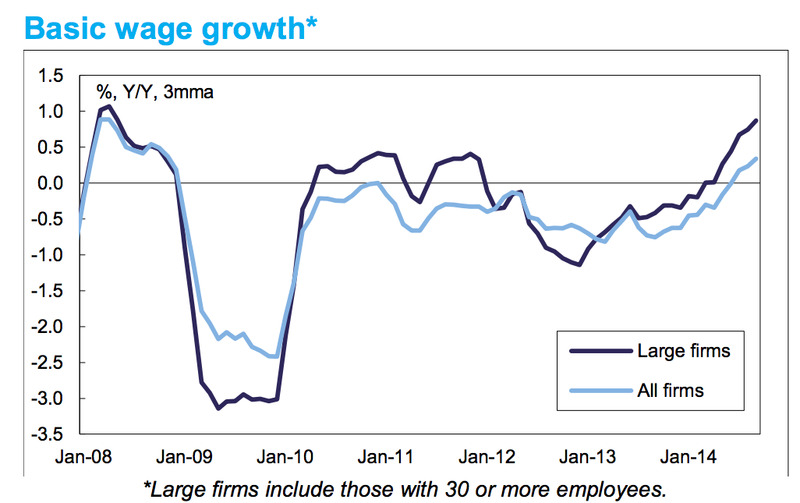 In short, in the only major areas on which Abenomics can be reasonably judged so far, it’s doing well. Reform could be pushed through the pipeline a little quicker (though this is true just about everywhere), and Abe deserves at least a smidgen of credit for going back to Japan’s electorate to scrap a stupid set of plans that he inherited. 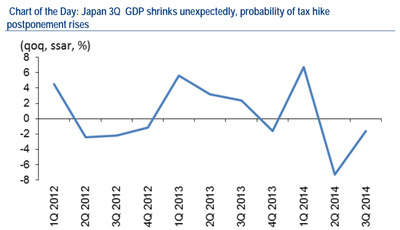 In the years to come, people may feel less sure that judging Abenomics on the back of a couple of quarters was wise.